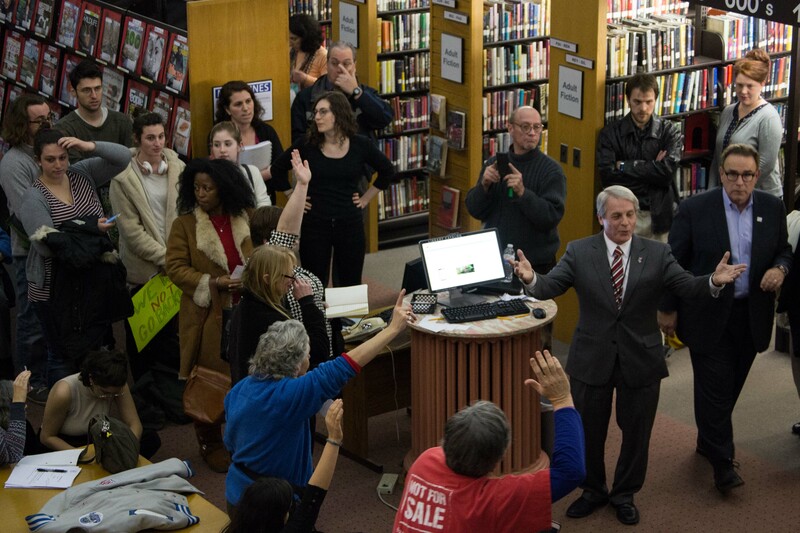 After hearing about a town hall meeting hosted by State Senator Len Suzio, University students organized to confront him about his proposed changes to Connecticut’s abortion laws, particularly his proposition to require parental notification if a minor chooses to have an abortion (Senate Bill 243). Another act of legislation would require all pregnant individuals to receive a transvaginal ultrasound prior to having an abortion (Senate Bill 330). Word of the meeting spread quickly Wednesday, provoking students to organize impromptu responses, ever cognizant of the often-tenuous relationship between the University and larger community. Simon Korn ’17, president of the Wesleyan Democrats (WesDems), joined the WesDems’ board to strategize earlier in the afternoon. They focused on showing Suzio the views of Middletown’s constituents. In addition to letting Suzio know where they stand, students wanted to question certain aspects of the Proposed Senate Bill 243 (sb 243). Aimee Jones ’17, vice-president of the Wesleyan Democrats, was interested in the specifics of the court process. Korn also expressed a desire to become more involved with the Middletown Democratic community. A poster-making session preceded the meeting in a senior house, where the best way to approach the meeting was discussed. Anna Pezanoski-Cohen ’17 said students did not want to disrupt the town hall. Beth Townsend ’19 was also present at the poster-making session, and in favor of simply making posters and holding them silently at the town hall. The main goal of students was to hold Suzio accountable for the effects of sb 243. 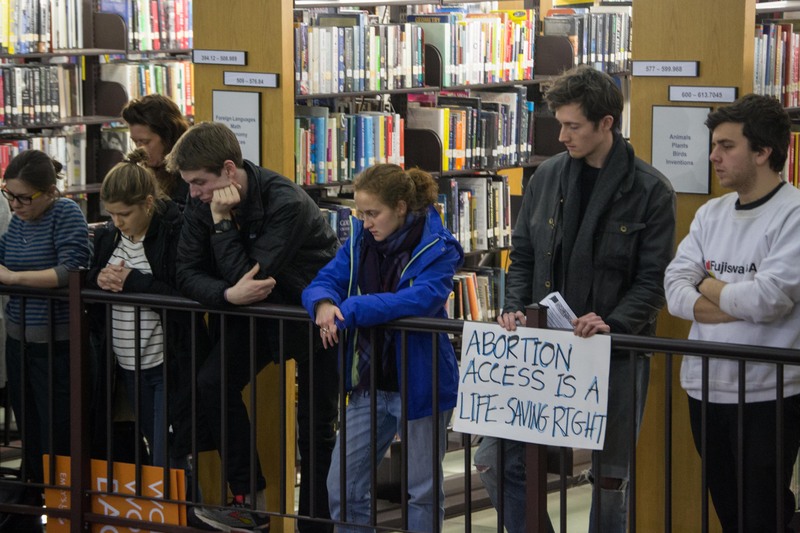 Due to the oppositional nature of the protest against Suzio’s agenda, no students who support his pro-life sentiments could be reached for comment at the event.